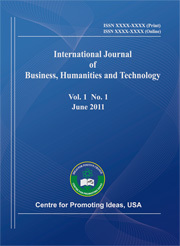 The paper is based upon discussion and information provided by 22 senior managers at multinational corporations in China and published work related to doing business in China. The five different cultural dimensions of Hofstede and Hofstede and Bond schema and their implications particularly on the decision-making process by international managers are discussed. In addition the paper reviews and reinforces scholarly research on Chinese culture and business practices in China and in other countries. The findings of this paper together with those of previous studies could provide relevant information to managers who plan to do business in China.